“People often say that motivation doesn’t last. Well, neither does bathing – that’s why we recommend it daily.” - Zig Ziglar. 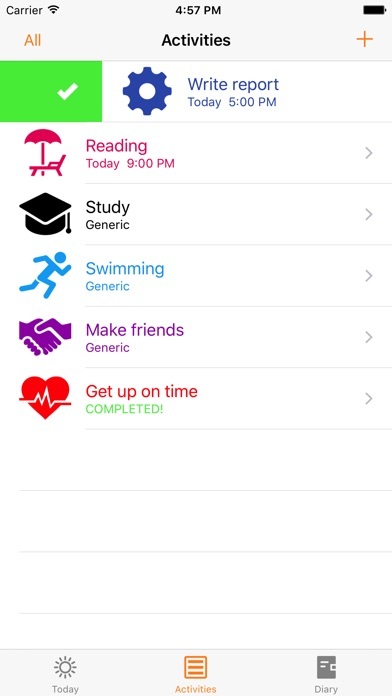 "MotivateMe is exactly the app you need to have someone by your side that everyday tells you that you can do it." - iSpazio. All of us has the power to realize our dreams. The problem is that most of people isn’t motived or focused enough on their goals. Whether you want to became a champion in your sport or the best at your work, the principles of motivation are the same. MotivateMe isn’t the same old “to-do-list”; it does much more than just remind you your activities, it motivates you to carry them out! All of us has 24 hours in a day, what makes the difference is how we spend them. Set-up your activities every day, you’ll get notifications that will make you optimize your time and feel satisfied every time you’ll carry them out. An effective motivation has to be varied. 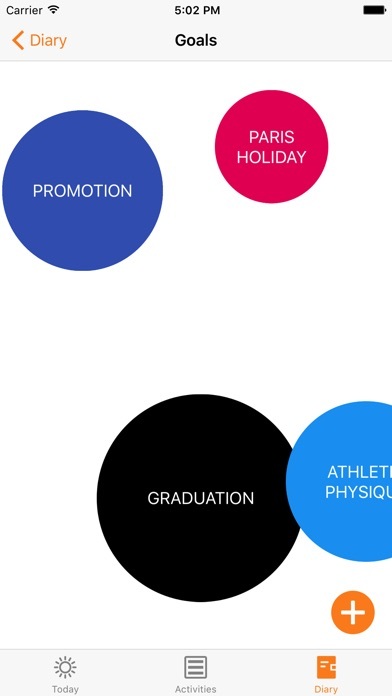 For this reason, MotivateMe suggests you for each day different motivational contents, carefully selected. Quotes from successful people and amazing tips to improve yourself! 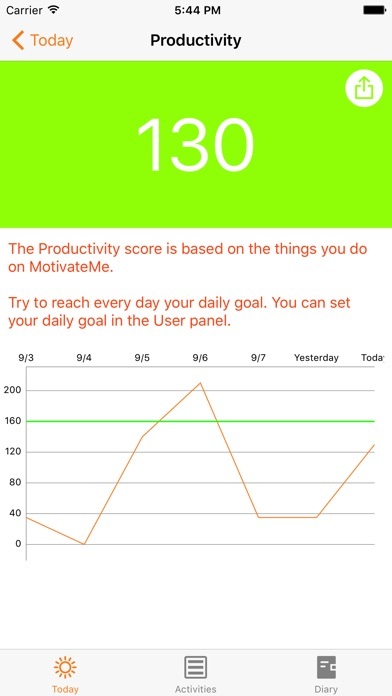 Everything you do on MotivateMe makes your productivity score increase. Fix your daily goal and always try to reach it. Motivation influences what you do and what you do will influence how you feel. Keeping track of your mood is very important to understand what are the best/worst moments of your life and the causes that produce them. Take note of your mood and keep an eye on the progress in a graphic. Having a diary of your achievements and completed activities helps you to monitor your progress and be more aware of your potentialities. Exploit the power of the graphics to visualize immediately the trend of your productivity and make it better every day. 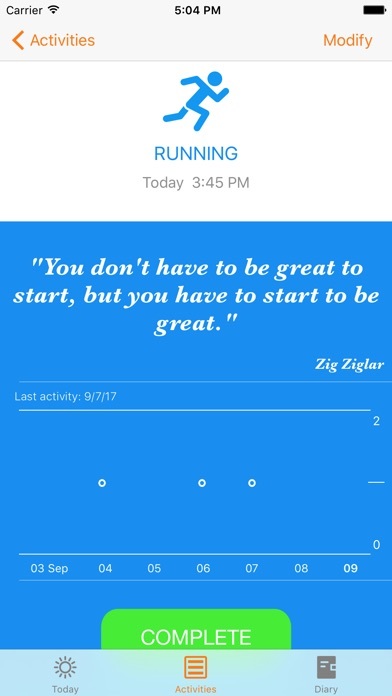 When you create an Activity on MotivateMe you can also choose to add it to Calendar as an event. -Apple Watch app with complication. -Report "What have I done today?". 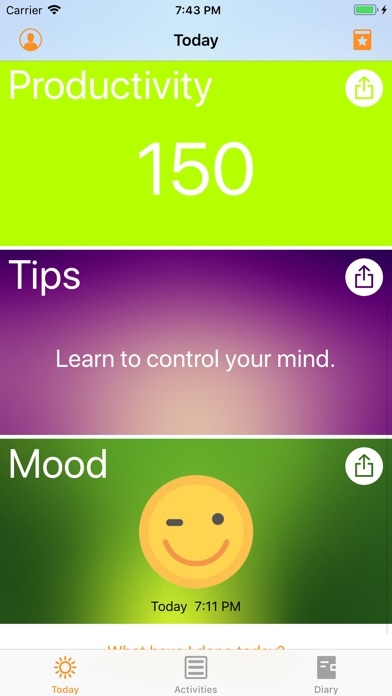 -Index of positivity to monitor your mood. *Some icons appearing in the app were made by Freepik and others from flaticon.com and are licensed under CC BY 3.0 - detailed credits the website. -Fixed a bug with repeating notifications.